One of the most curious areas is the development of telemedicine. 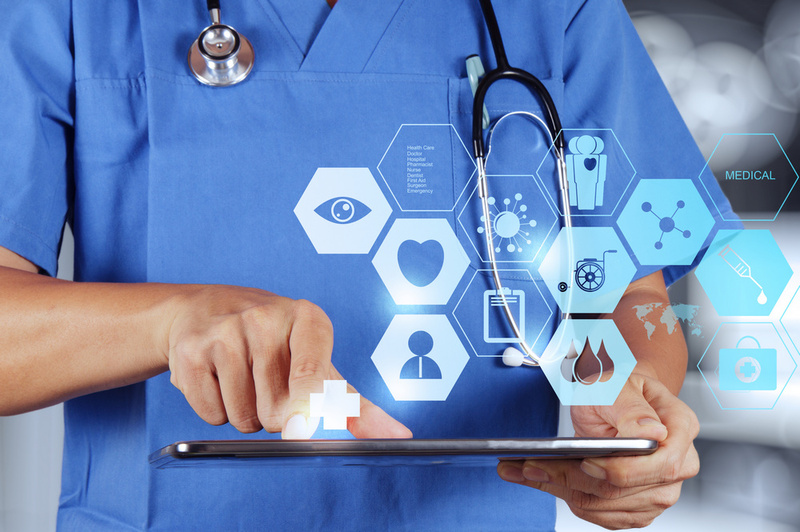 Telemedicine is a healthcare tool that is the use of digital information and telecommunication technologies for the remote provision of medical care and services. In the classical sense, it is used in cases where the geographical distance between the patient and the medical worker is a critical factor. In telemedicine, in fact, there is nothing new. Over the last 100 years, in one way or another, telecommunications (telegraph, telephone, video, facsimile, computer networks, the Internet) have been used and are being used for medical purposes. Experts say that the projects have two main vectors: remote consultations and remote monitoring systems of physiological functions of the body using different devices. Telemedicine is divided into two separate branches: a doctor-doctor and a patient-doctor. Under the first one understand the remote interaction of medical organizations or individual medical workers. And under the second - direct remote interaction between the patient and the medical worker. The first has long been widely used throughout the world. Moreover, it was formed largely thanks to the efforts and work of many more Soviet scientists, doctors and engineers. The use of telemedicine "doctor-doctor" has long existed in the legislation, and in a number of regions it is financed by means of compulsory medical insurance. The situation with telemedicine "patient-doctor" is different. Its methodology is still in the formation stage. The total spread of the Internet and mobile devices led to the formation of fundamentally new requests and systems of relations in health care. The amendments to the law adopted in the first reading, including regulate the telemedicine "patient-doctor", focusing on issues of legitimacy and safety of direct remote contact. But we need to understand that telemedicine does not replace medicine in the traditional sense of the word, but extends and complements its capabilities. Physicians also have the opportunity to change the treatment of patients, including medical therapy, depending on the indicators of remote monitoring systems - and this is a big plus. Time will show how this will be realized in practice. Actively at all levels, the sale of drugs through the Internet is being discussed. Probably, in the near future we may be witnessing global changes in the system of drug sales, where an important role can be obtained by electronic sales channels. Another important area is medical online education. The higher the doctor's level, the more he is aware of the latest achievements, the easier it is for him to evaluate the validity of clinical decisions made on the basis of the latest developments. More and more doctors receive NMU scores with the help of electronic methods. With the advent of translations of professional events, doctors from remote regions began to receive up-to-date information on their specialty directly at the workplace. Thanks to the Internet, the number of doctors involved in obtaining information through professional Internet resources is growing. The efficiency of digital channels is manifested in a significant reduction in logistics costs. For example, now, when the doctor's usage includes such concepts as webinars, online broadcasts, video lectures, distance education courses, there is no need to spend time and resources on frequent trips to congresses to improve their level. It is enough to have only access to the Internet and telephone. Webinars and online conferences for doctors are now in high demand. They allow doctors to get new knowledge and communicate with colleagues without leaving home or study. These programs are made by professionals and are designed for experts, after listening to the material the participants are tested - that is, there is all the necessary tools for distance education. Modern pharmaceutical companies widely implement an interactive presentation format - Interactive Visual Aid (IVA). The pharmaceutical industry has a colossal information field. Specificity of interaction between participants suggests that companies transfer to doctors and the professional community large amounts of data on the medical use of their products, their effectiveness and safety, research, new developments. The IVA format helps to present information more conveniently, compactly and visually. Medical representatives, who several years ago used bulky booklets and paper presentations, now show doctors the results of studies on the effectiveness of drugs on tablets. Modern interactive tools allow not only to easily present information, but also to clarify how it was learned - tests allow you to instantly check knowledge. Free-of-charge mobile applications for medical workers is another convenient tool actively used by pharmaceutical companies. Some applications are informational in nature, others - give detailed instructions on the use of specific drugs in the fight against a particular disease. If before there were whole offline schools for people with diabetes, then these days they can be replaced with an application on the smartphone screen. For example, AstraZeneca has developed the Grace 2.0 application, which analyzes the risks for patients with acute coronary syndrome, and also helps doctors formulate treatment courses for such patients. Celgene, specializing in oncology and inflammation, has released the MM Resource Center application for people with myeloma. In the portfolio of Novartis several developments. In particular, this company has an application Heart Partner, which helps to monitor the physical condition of patients with a sick heart. And the French Sanofi together with Voluntis programmers made the application for diabetics of the second type. With its help, patients can easily monitor the necessary schedule of taking medications, and all the data on their health are available to the attending physician through the cloud storage. The development of digital technologies implies a closer connection between all market participants. 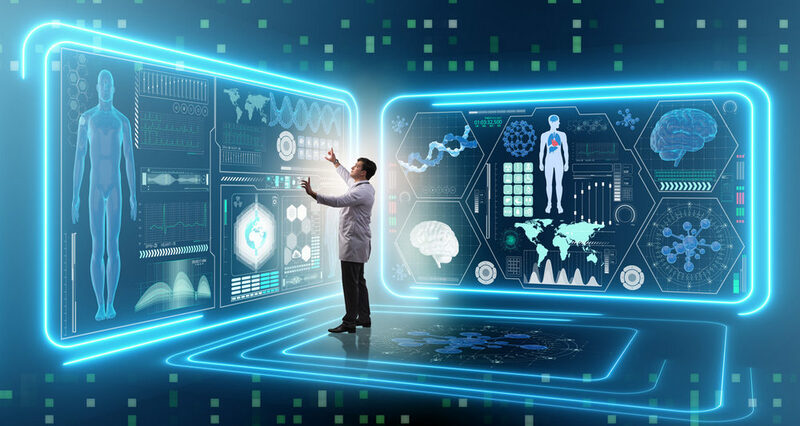 Improvement and wide dissemination of special gadgets that read information about patients 'health will lead to simplification of synchronization with doctors' databases, which will further increase the effectiveness of treatment. However, this direction is rather promising and promoted on enthusiasm, than actually acting. It reminds the history of electric vehicles, which also received a certain share of the market due to enthusiasts and visionaries, but exponential growth is not yet visible.